This month, the College of Visual and Performing Arts awarded its highest honor to five alumni who exemplify excellence in their fields, recognizing them for their achievements in artistry and education. Carla Gannis ’92 (Art); Doug Risner ’88, MFA ’90, PhD ’01 (Dance); David Kish MM ’02, DMA ’03; Connie McKoy ’89, PhD ’98 (Music) and Hugh Hysell ’88 (Theatre) were named CVPA ‘s 2017 Distinguished Alumni at a dinner and awards presentation on November 2nd in the UNCG Alumni House. The recipients have varying stories of how they came to Greensboro and where they’ve been since, but they all agreed it was the faculty at UNCG that made an incredible impact on their lives. Scroll down to read the recipients’ bios and click on the links to hear excerpts from the recipients’ acceptance speeches and to read their bios. Carla Gannis is an artist fascinated by digital semiotics and the situation of identity in the blurring contexts of physical and virtual. She currently lives in Brooklyn, New York. Gannis studied painting at the University of North Carolina at Greensboro before receiving an MFA from Boston University. She is faculty and the assistant chairperson of The Department of Digital Arts at Pratt Institute. featured in press and publications including, ARTnews, The Creators Project, Wired, FastCo, Hyperallergic, Art F City, The Wall Street Journal, The New York Times and The LA Times, amongst others. She has participated on numerous panels regarding intersections in art and technology including “Let’s Get Digital,” Metropolitan Museum of Art, New York in 2014. Her speculative fiction was included in DEVOURING THE GREEN:: fear of a human planet: a cyborg / eco poetry anthology, published by Jaded Ibis Press 2015. Her augmented reality artist book The Selfie Drawings was awarded the Founder’s Award from the 2016 Lumen Prize. 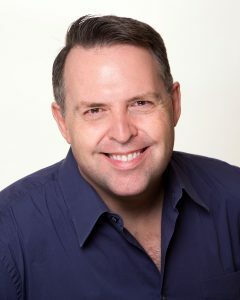 Dr. Doug Risner is Distinguished Faculty Fellow and Professor of Dance at Wayne State University in midtown Detroit’s cultural district, where he is Director of Graduate Studies and Program Director of the Master of Arts in Theatre &amp; Dance Teaching Artistry, the only program of its kind in the nation. Distinguished Professor Risner received his BFA in Performance and Choreography, MFA in Dance from UNCG’s Department of Dance, and his PhD in Curriculum and Teaching. Dr. Risner conducts research on the sociology of dance training and education, curriculum theory and policy, social foundations of dance pedagogy, gender in dance and postsecondary leadership, and online learning and web-based curriculum design. 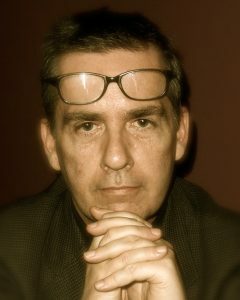 Dr. Risner has choreographed over 50 works which have been funded in part by the Pennsylvania Council of the Arts, Iowa Arts Council, North Carolina Department of Education, the George T. and Jutta F. Anderson Foundation and numerous universities across the United States; his choreographic work has been honored by the Seven States Choreography Competition, the American College Dance Festival and his alma mater, UNCG. Dr. Risner has published over 100 journal articles, conference papers and book chapters. His four books include Stigma and Perseverance in the Lives of Boys Who Dance (2009); Hybrid Lives of Teaching Artists in Dance & Theatre Arts (2014); Sexuality, Gender & Identity: Critical Issues in Dance Education (2015); and Dance and Gender: An Evidence-Based Approach. He is the recipient of numerous awards, among them the Board of Governors Distinguished Faculty Fellowship (WSU), President’s Excellence in Teaching Award (WSU), Outstanding Dance Education Researcher Award and Visionary Award in Dance Education, both from National Dance Education Organization. 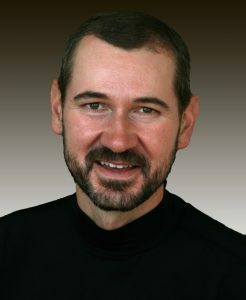 UNCG has previously honored Dr. Risner with the Ethel Martus Lawther Alumni Award for the School of Health and Human Performance, Hester Doctoral Fellowship, Luther Self Dissertation Fellowship from Educational Leadership and Cultural Foundations, and the Virginia Moomaw Award for Outstanding Contributions to Dance. Professor Risner is Editor-in- Chief Emeritus of the Journal of Dance Education, and as Associate Editor of the international journal, Research in Dance Education, he serves as managing editor for annual special topic issues. The Doug Risner Prize for Emerging Dance Researchers was established in 2016 by the Journal of Dance Education to honor Risner’s commitment to excellence in dance research and research education. His current book project, Case Studies in Dance Education: Ethical Dimensions of Humanizing Dance Pedagogy (McFarland) with Professor Karen Schupp (Arizona State University), brings together 25 nationally recognized scholars and practitioners investigating ethical decision making and pedagogical challenges of dance educators and those who prepare today. A native of Hershey, Pennsylvania, David Kish is Director of Bands and Professor of Music at Metropolitan State University in Denver, where he conducts the Wind Ensemble, Symphonic Band, and teaches conducting and music education courses. He has twice served as a Faculty Fellow in the Center for Innovation, is founding director of the Metro State Wind Band Celebration, and is a recipient of the Faculty Senate Teaching Excellence Award. In 2015, David was appointed Conductor and Musical Director of the Colorado Wind Ensemble, a highly acclaimed, semi-professional wind ensemble based in Denver. David has taught instrumental music at all educational levels, including a position as Associate Director of Bands and Franklin Fellow at the University of Georgia. His writings on wind literature, conducting pedagogy, and music education have been published in The Instrumentalist Magazine, Journal of Band Research, Music Educators Journal, and five volumes of the popular resource texts, Teaching Music Through Performance in Band. David recently authored Volume VI of his book series, Guides to Band Masterworks, published by Meredith Music Publications and distributed by Hal Leonard Corporation. Dr. Kish earned the Doctor of Musical Arts and Master of Music degrees in Instrumental Conducting and Music Education from the University of North Carolina at Greensboro, and Bachelor of Music in Music Education from Susquehanna University in Selinsgrove, Pennsylvania. He has presented sessions at the Midwest International Band and Orchestra Clinic, the National Association of Music Education Conference, and various state music education conferences. He was Conductor-in-Residence at Capital Normal University in Beijing, China, and maintains an active schedule as guest conductor, clinician, and lecturer throughout the United States. 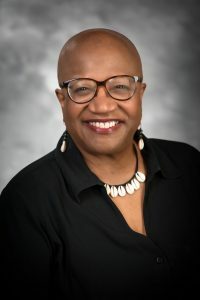 Connie McKoy is professor and director of undergraduate studies in the School of Music at the University of North Carolina at Greensboro (UNCG) where she teaches graduate and undergraduate courses in music education. A native of Fayetteville, NC, she holds a Bachelor of Music degree from the Oberlin Conservatory of Music and earned both master’s and Ph.D. degrees in music education from UNCG. For 19 years, she served the North Carolina public schools as a lead teacher, elementary general music teacher, and elementary, middle and high school choral director. Prior to her appointment at UNCG, she was visiting assistant professor of music at the University of Southern Mississippi where she directed the University concert choir and taught secondary choral methods. Dr. McKoy’s research focuses on music teachers’ cross-cultural competence, and culturally responsive teaching in music. She has presented research papers and in-service clinics at state, national, and international music conferences, has Level III certification in Orff Schulwerk pedagogy and has taught recorder for Level I and II Orff training courses. Dr. McKoy has published in several professional journals including The Journal of Research in Music Education, The Bulletin of the Council for Research in Music Education, Music Education Research, The Journal of Music Teacher Education, and The International Journal of Music Education. She has served on the editorial committee of the Music Educators Journal and is currently on the editorial board of Update: Applications of Research in Music Education. She also co-authored the book Culturally Responsive Teaching in Music Education: From Understanding to Application, recently published by Routledge. She has served as conductor/clinician for elementary, middle, and high school all-county choruses across North Carolina, and in 2010, she conducted the North Carolina All-State Middle School SSA Choir. In 2017, Dr. McKoy was an invited participant in the Sixth Biennial Yale Symposium on Music in Schools. She is a past president of the North Carolina Music Educators Association and is currently the Chair of the Society for Music Teacher Education, an affiliated society of the National Association for Music Education. She is married to Rudolph J. Click and they have 4 beautiful grandchildren. others), and activated grassroots street teams for over 50 Broadway shows and tv series. Pippin, Pirates of Penzance, and The Fantasticks. He is currently appearing Off-Broadway in 30th Anniversary company of Perfect Crime. Other Off-Broadway credits include More Than All The World, My Big Gay Italian Wedding, My Big Gay Italian Funeral, Crude The Musical and the mad-lib comedy Villain De Blanks. TV credits include HBO&#39;s Divorce (with Sarah Jessica Parker and Thomas Hayden Church), NBC’s Happy (with Christopher Meloni), TLC&#39;s Suddenly Rich, NBC’s Law and Order and will soon be appearing in the feature film Big Break. This entry was posted in Alumni, College of Visual and Performing Arts, School of Art, School of Dance, School of Music, School of Theatre. Bookmark the permalink. ← Fall Dances in Exile This Weekend!